Will your reception tables be better dressed than you? Weddings are all about elegance and style but you do not want your decor to blend into a muted background – to be memorable your centerpieces need to be dramatic. That does not mean gaudy, it just means visually interesting, and by adding height to create tall wedding centerpieces you can do just that. Traditional floral arrangements can be used if you can find the tall, thin vases to display them in. 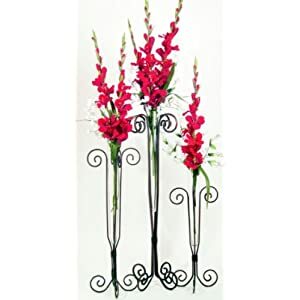 Click HERE for a great selection of tall vases – excellent for wedding centerpieces. 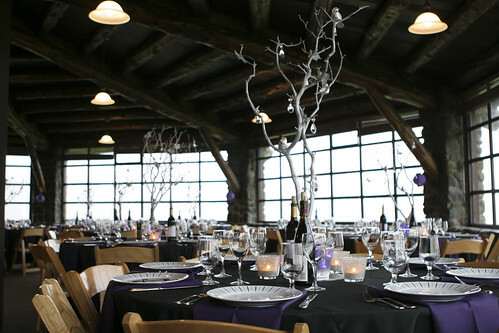 You can also stick with natural materials by making wedding centerpieces with branches. You can arrange them so that they look like trees and then decorate them to tie in with your wedding theme or time of year. If you need some winter wedding centerpieces, why not add some shimmering sparkles by spray painting them in silver and then draping them with crystal beads. If you are marrying in spring, leave the branches unpainted but adorn them with pastel colored ribbon bows to mimic dainty flowers. Creating vertical lines without flowers is also quite easy. Find some faux coral and paint it in a dramatic color that ties in with your theme and then stand it up in a sandy bed. For complete beach wedding centerpieces, arrange starfish or shells on the sand as well. To move away from an ocean tie in, sprinkle flower blossoms around the coral wedding centerpiece for a unique display. If you are planning your centerpieces and theme at the same time, you can use the coral idea as an anchor and use it on invitations and favour boxes too. 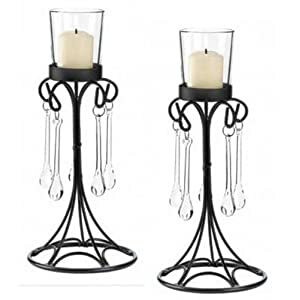 Candelabras are very romantic so are perfect for evening wedding reception centerpieces. Go for tall ones in antique colors and designs for a traditional wedding or crystal or black ones for a more modern feel. 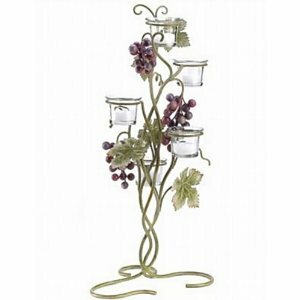 Filling them with tall candles will enhance the vertical effect even further and you can soften the look with flowers or greenery twined around the candelabra. Click HERE for a great selection of candelabras – excellent to use as tall wedding centerpieces. For a unique centerpiece, think top down rather than bottom up to create a tall wedding centerpiece. In other words, consider something that is suspended over the table rather than sat on it. 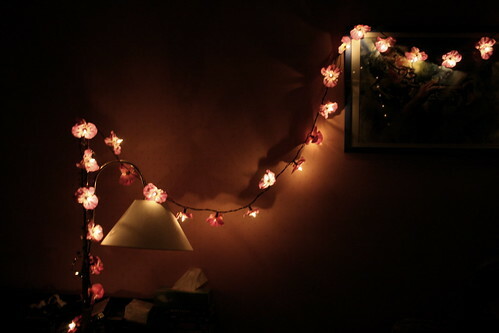 Chains of large headed flowers, such as Gerber daisies, could impressively ‘float’ down from the ceiling and will definitely draw the eye upwards. Tall centerpieces can be fun to come up with if you let your creative juices flow. Decide upon your chosen material for the centerpiece and then think about how you can turn it into a tower or stack. Imagine stacks of old books piled appealingly or small candles arranged on stands with different tiers. Edible centerpieces are perfect for this effect as you can use tiered cake stands as the base of your display. Give it some thought and see if you can come up with something you can call your own when it comes to your centerpieces. Take a bonus 15% OFF orders of $50+ at The Knot Wedding Shop! Use code TKJUNE15 at checkout. HURRY - Three days only. Create your own stunning balloon wedding centerpieces and save hundreds of dollars. Use this easy to follow step-by-step guide to balloon decor to wow your guests. Balloons are cheap to buy so if you can learn how to work with them, you will get the big budget effect for a fraction of the price. Hi, I'm Chloe and I write this blog about ideas for wedding centerpieces. I love everything to do with weddings and cannot help browsing all the wedding magazines despite having had my big day already. I hope you find some of my information useful and achieve the wedding day of your dreams! Copyright (c) 2010-2011 brentdeming.com. All rights reserved.